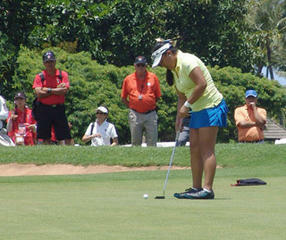 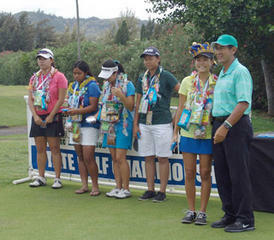 Punahou sophomore Mariel Galdiano shot rounds of 70-68 to defend her individual championship, edging teammate Aiko Leong by two shots. 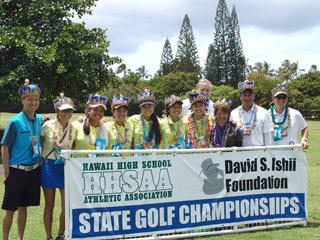 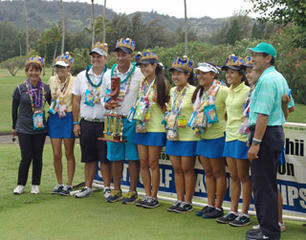 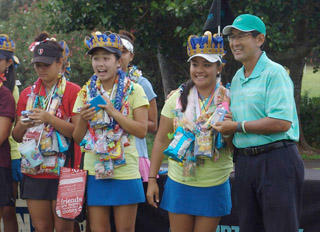 Punahou captured its third consecutive team title. 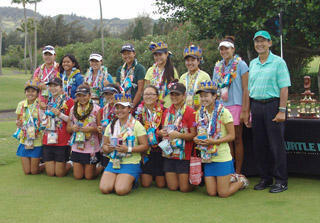 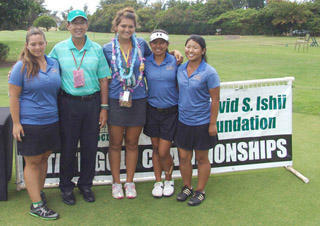 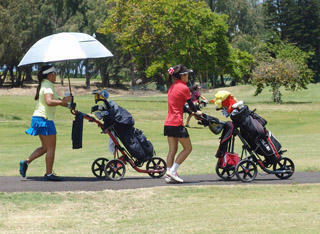 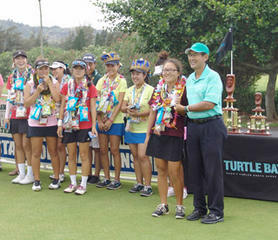 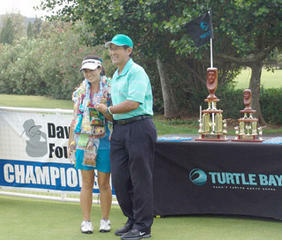 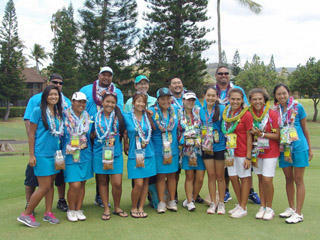 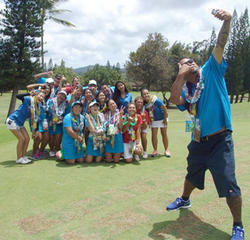 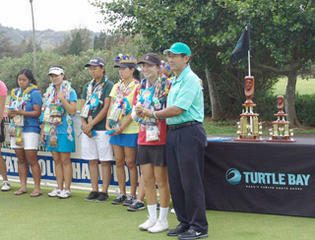 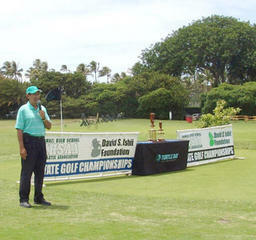 Its two-day total of 426 was three better than ‘Iolani.